ArtPrize is an international art competition that takes place in Grand Rapids, Michigan in September each year. Artists from anywhere in the world are encouraged to participate, and the artwork is exhibited throughout the downtown area in museums, public spaces, bars, restaurants and more. This year, a few of the folks at Munsell teamed up to created a piece using color chips. The result is sure to make waves. A measured training of the color sense. In the early 1900’s, common color education suggested that children need bright colors to excite their interest. Albert Munsell sought to calibrate the child’s unbalanced responses to its chromatic and chaotic environment. 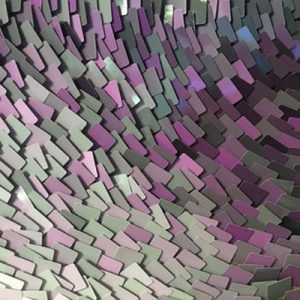 Using our knowledge of color space, along with color-matching software developed at X-Rite Inc, Munsell’s vision of organized color chaos is being put to canvas. On the canvas is a looming wave of color, turbulent and out of control at first glance, triggering our primitive impulses. But at second glance, the viewer’s mind and body are reassured by the systematic and logical organization of hue, value and chroma. 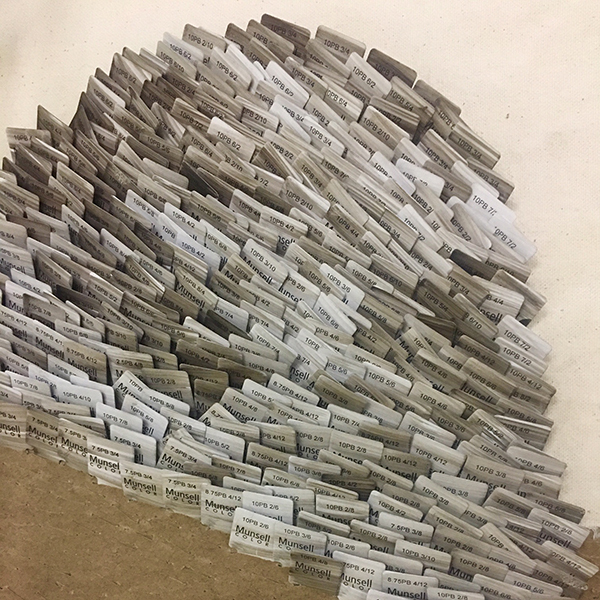 Back in May, a batch of books was completed, leaving a large amount of extra chips that normally would just be disposed of. It was Laura Weeks who suggested the team create an art piece out of the color chips specifically for ArtPrize. Andrew Bray started working out the concept and composition, and after five or so different iterations, the wave was born. From there, it took about 2 months to complete the piece. 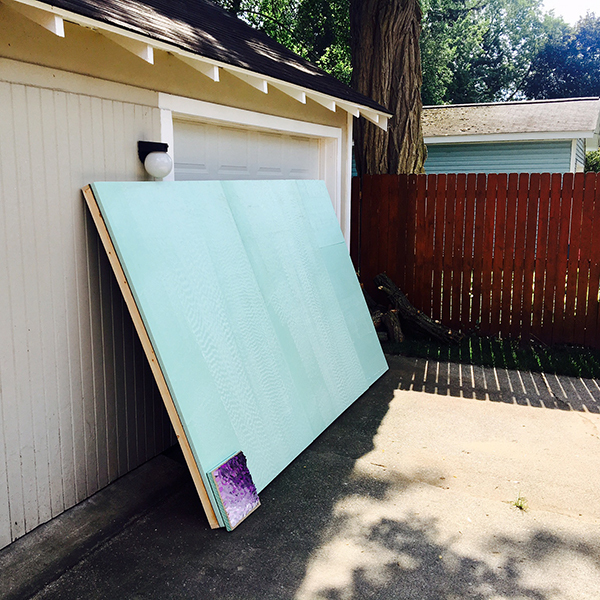 Starting with a wood substrate, 10 feet wide by 6 feet tall, a piece of 3/4″ foam insulation was glued to the surface. This would enable the team to cut hole to insert the color chips. The basic composition was sketched out on the foam board. 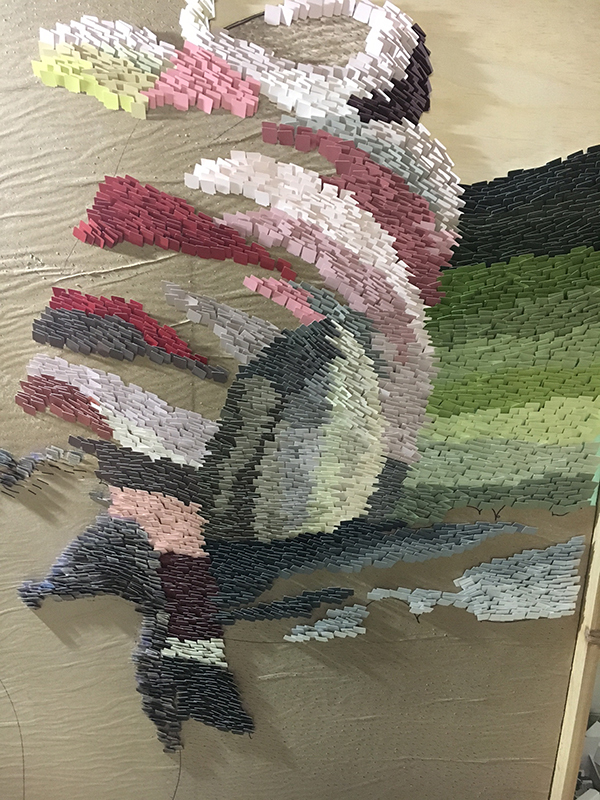 Color chips were created for specific sections of the piece. The piece was a full group effort, with the team sometimes working together on the piece, and at other times, working when they had a spare moment. With the piece in the Munsell office, there were many a lunch breaks spent working. 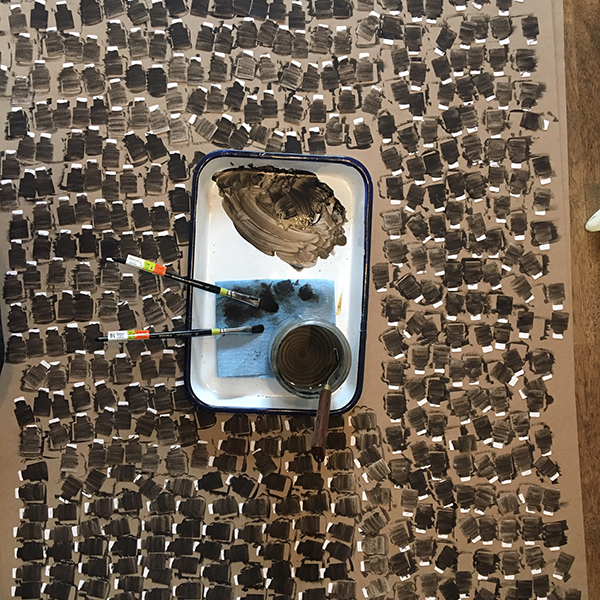 There are large areas of the piece where the back of the chips are visible – these were painted a warm black color, representing a combination of all the colors used in the palette of the piece. With 1,400 colors to choose from, the colors for each section had to be mapped out. Although they had so many colors to work with, in some cases there were more of certain colors then others, so the color sections were influenced by this limitation. The key influence for the piece was Albert’s style of teaching and creating art that was harmonious. When students are trying to understand color, medium value or high chroma colors can be overwhelming. In this piece, no chroma above 8 was used. Instead higher chroma chips were mixed in with more subtle colors to give the illusion that the color was a higher chroma, but to still create a sense of color unity and a calming palette. 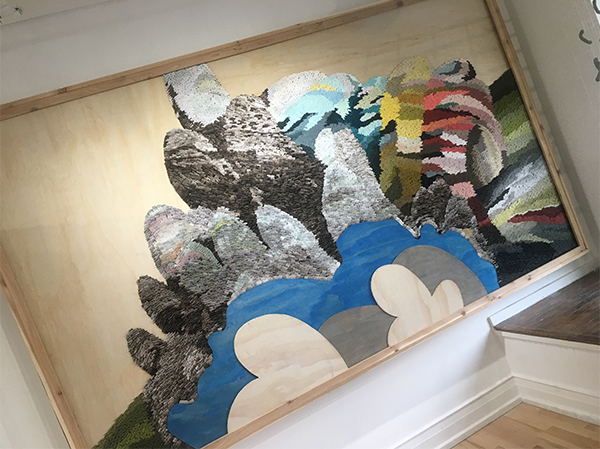 The color chips piece is intended to look like a picture out of a children’s book. With its distinct foreground, middle ground, and background, it invites you to walk into its world. Into a space that is fluid, organic, abstract… a space that is whatever you dream it to be. A place of color serenity that can amuse and intrigue both children and adults. With a color palette Albert certainly would approve of. The artists working on this piece are members of the Munsell Color team. 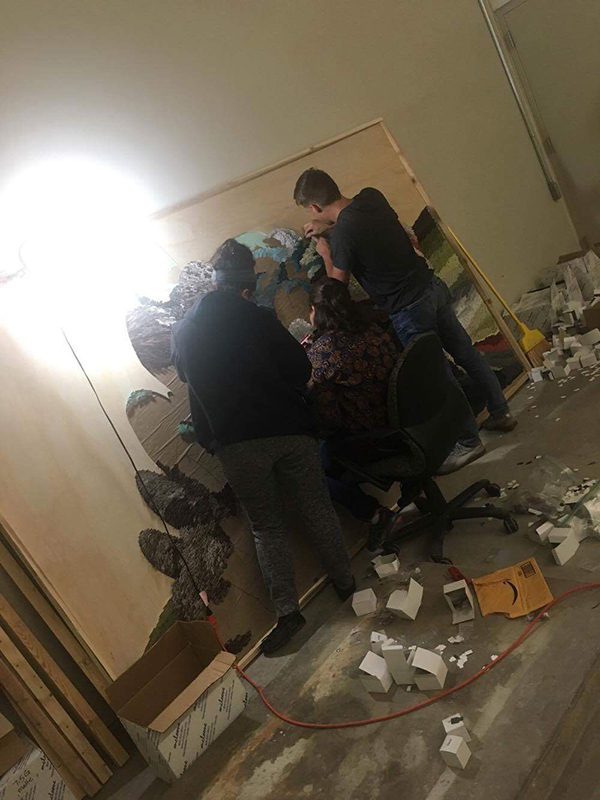 The teams members are a diverse group of painters, writers, and stage directors including two graduates of GVSU’s Art & Design program and KCAD’s Art program. 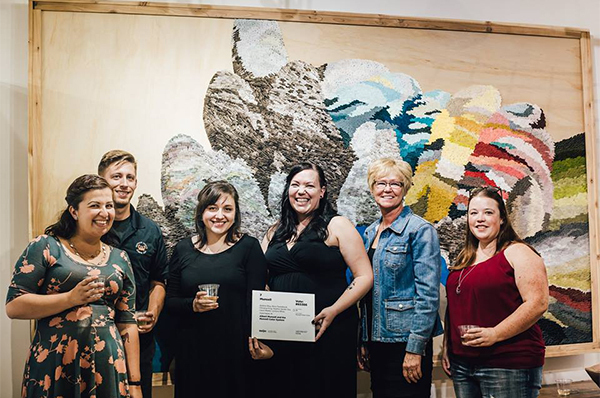 All team members are residents of Grand Rapids, Michigan and have either participated or volunteered in past ArtPrize competitions. 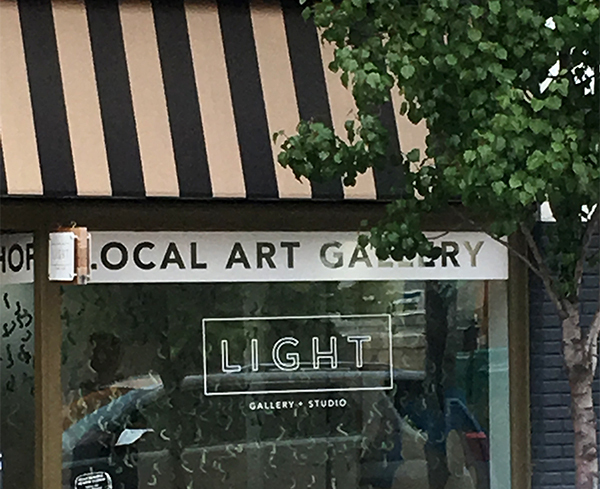 The work will be displayed at the Light Gallery + Studio. 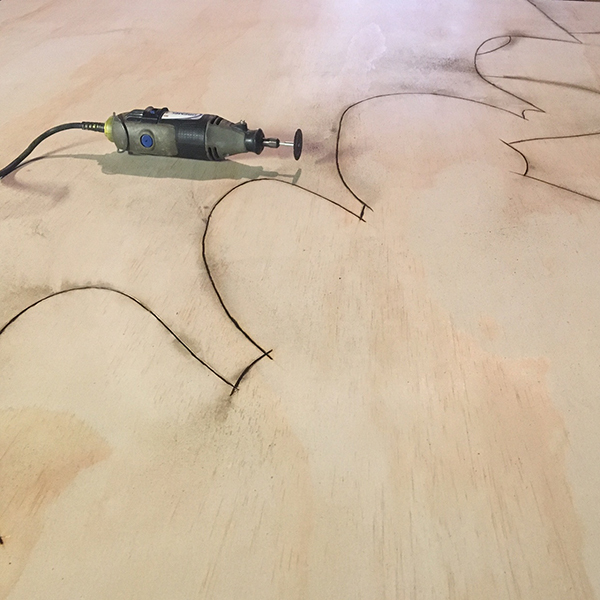 You can see additional close-ups of the work on their Facebook page. Learn more about ArtPrize, sponsored by X-Rite & Pantone.